Napoleon has just arrived at the front. At their first encounter the French surprised Blücher's Prussians and Russians during a snowstorm. 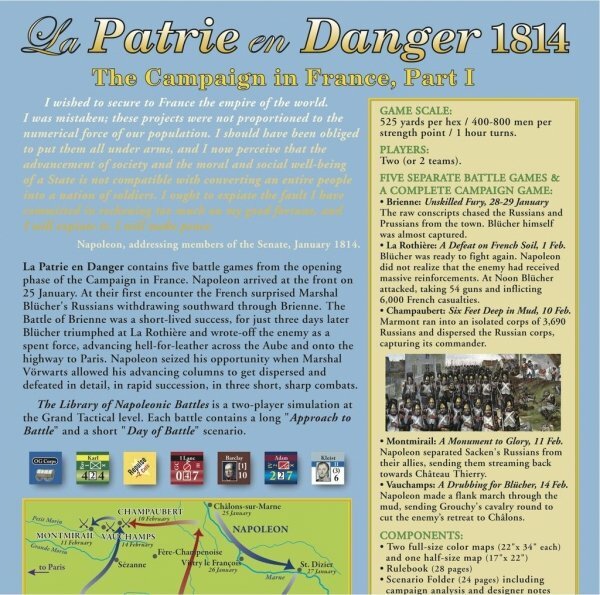 The Battle of Brienne was a short-lived success, however, for just two days later the Prussians triumphed at La Rothière and wrote-off the enemy as a spent force, advancing hell-for-leather across the Marne and onto the highway to Paris. Ten days later Napoleon seized his opportunity when "Marschal Vorwärts" allowed his advancing columns to get dispersed and defeated in detail, in rapid succession in three short sharp combats. 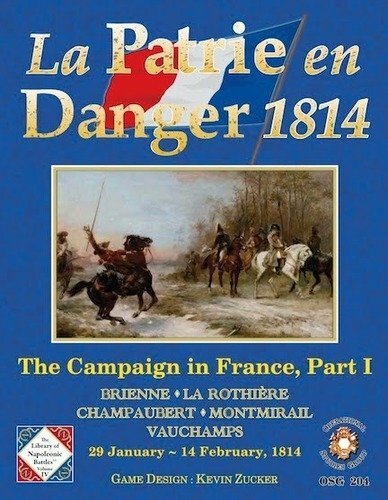 La Patrie en Danger is another fine game from OSG's publisher Kevin Zucker's famous series "The Library of Napoleonic Battles". 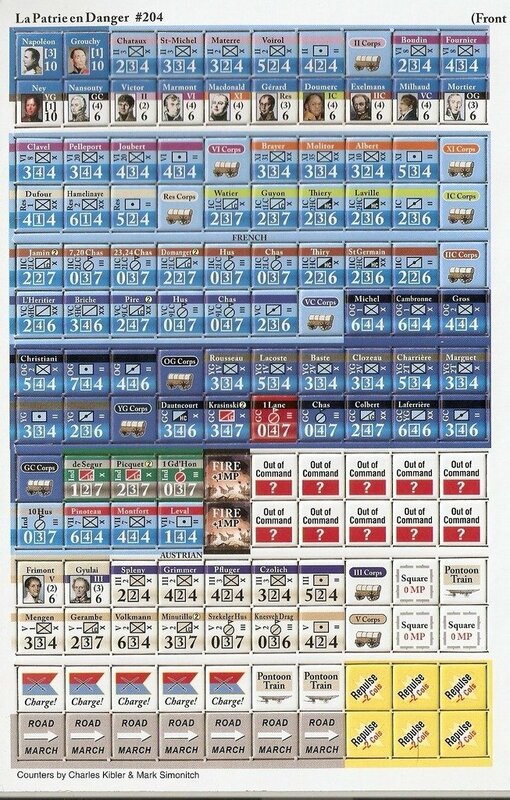 Based on the epic "Napoleon's Last Battles"-System, (further upgraded to the Library of Napoleonic Battles): it shows 480 meters per hex, 1 hour per turn, 400-800 men per strength point. Each Approach to Battle game lasts about 20 turns. 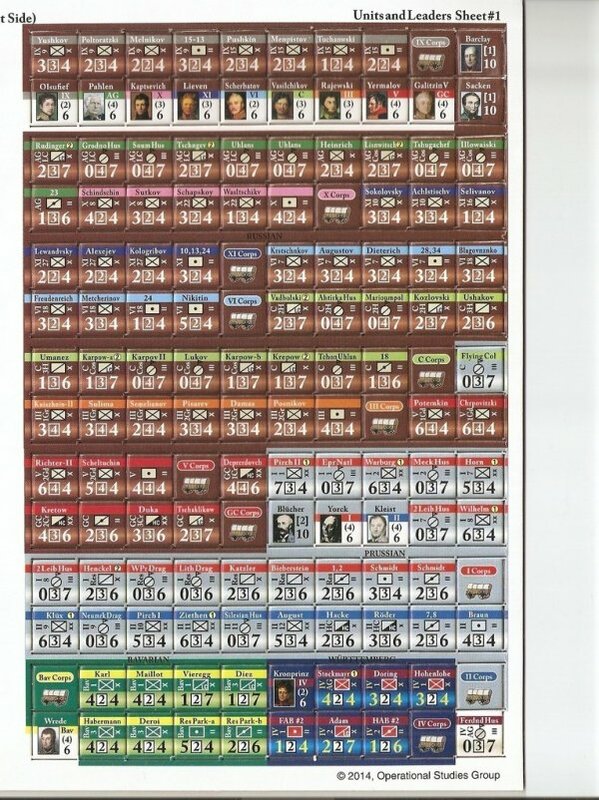 The Full campaign links the individual battles. 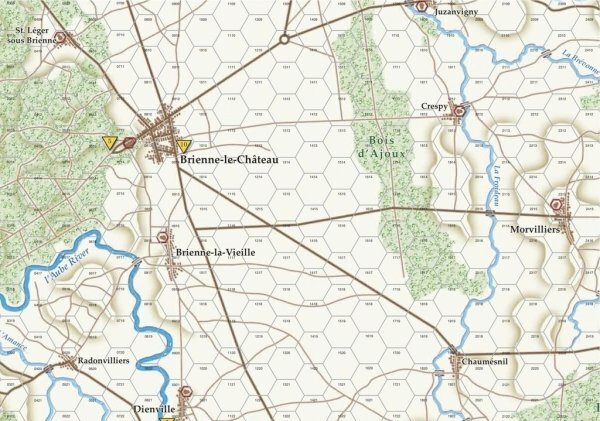 This game contains five battles from the opening phase of the 1814 Campaign in France following the Battle of Nations, which was fought just half a year before at Leipzig. · Brienne Unskilled Fury, 29-30 January. · La Rothière A Defeat on French Soil, 1 February. Reinforced with troops from the Army of Bohemia, Blücher was ready to fight again. Napoleon, not realizing the enemy's overwhelming superiority, advanced. At Noon Blücher attacked, taking 54 guns and inflicting 6,000 French casualties. Marmont ran into an isolated corps of 4,500 Russians commanded by Olsufief. 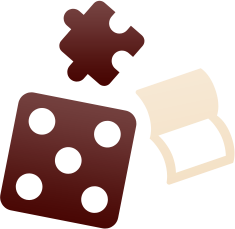 Marmont attacked and dispersed the Russian corps, capturing its commander. Mortier pinned down Yorck and Kleist's Prussians to the front, while Napoleon separated Sacken's Russians from their allies, sending them streaming back towards Château Thierry. Marmont held Blücher's Prussians in check while Napoleon made a flank march through the mud, sending Grouchy's cavalry round to the rear to cut their retreat to Châlons.